This is a great one-pan family meal and seems like a “labor of love”, but it’s really so easy! 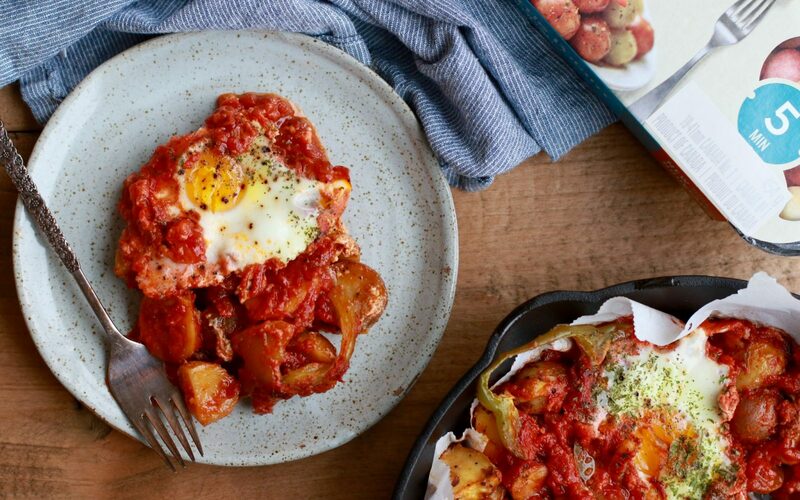 Eggs make their way into this tasty baked skillet alongside creamer potatoes, savory Italian tomato sauce, and crunchy green peppers. Preheat the oven to 350°F and line a cast-iron skillet with parchment paper (or use an oven-safe baking dish). 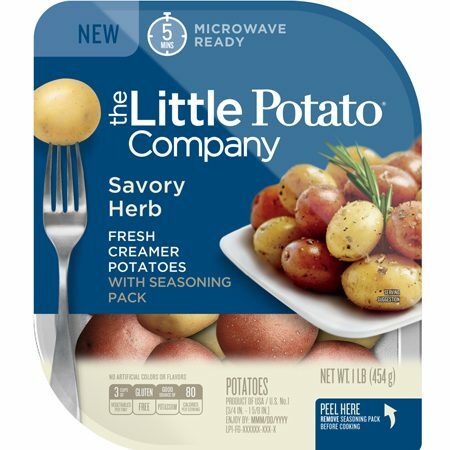 Prepare the Savory Herb Microwave Ready Little Potatoes according to package instructions, and slice in half (you can also roast the potatoes ahead of time in the oven at 350°F for 25 minutes). Add the cooked potatoes and the sliced green pepper to the skillet and spread around evenly. Create ‘wells’ in the sauce and potato mixture and crack an egg into each well. Sprinkle everything with the garlic salt and parsley. Place the skillet in the oven and bake for 25-30 minutes, depending on how you prefer the consistency of the yolk.